A lightweight fishing kayak that is feature-rich and big on performance but will not hurt your wallet. 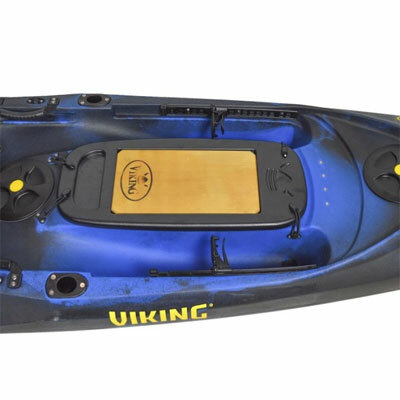 An excellent value for money angling kayak that is at home on both inland and coastal waters. 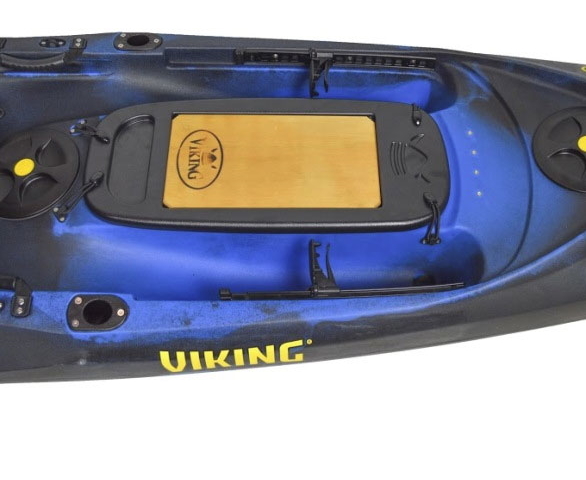 The Viking Profish 400 is a great all-rounder for both saltwater and freshwater kayak fishing. The 13ft hull has excellent stability for its size and weighs in at just 25kg! 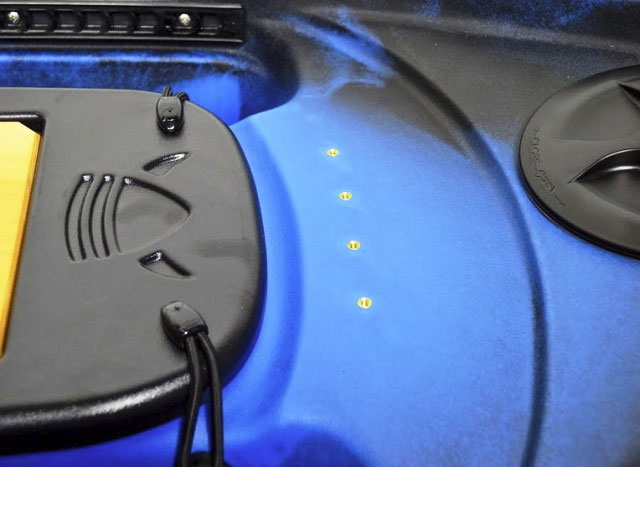 This makes the Profish 400 easy to car top and move around off the water. The hull paddles well in moderate coastal conditions as well as in calmer waters. The bow rides over chop well and with ample stability to give plenty of confidence to the paddler. 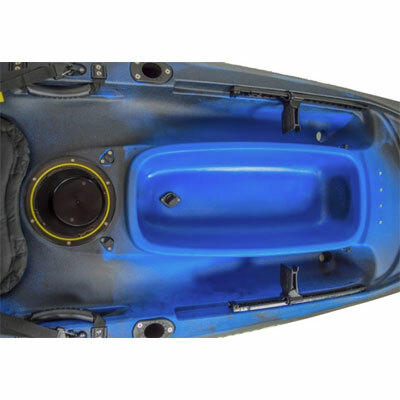 The hull shape provides a good stable ride whilst not lacking on speed, making this a great kayak for novice kayak fisherman and the more experienced paddlers alike. The Profish 400 features a large centre storage area, ideal ffor storing all your fishing tackle close to hand. The centre well has a black polycarbonate lid with a built-in wooden bait chopping board. This is great for preparing your baits on and also useful for mounting accessories too. An Optional 'Profish 400 Tackle-Pod' can be fitted in the centre well to provide a removable tackle and fish-finder unit/battery storage pod. 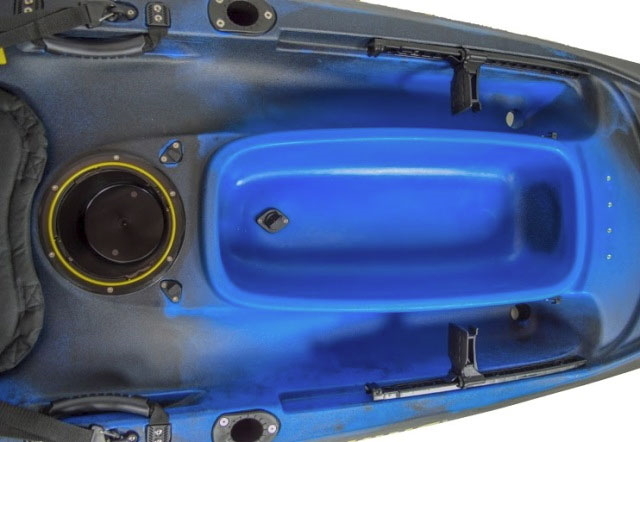 2 screw hatches feature, allowing access to the hull for additional storage. 6 flush mount rod holders come fitted as standard - If you want to add more then there are molded-in threaded brass inserts found in front of the centre console to allow you to fit additional Railblaza rod holders! 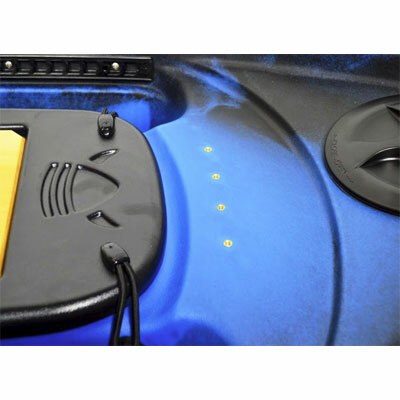 The large rear tank well provides loads of storage space for gear or the dedicated optional Viking Chill-Pod – ideal for storing and keeping your catch fresh whilst on the water. Adjustable footrests ensure a comfortable paddling position can be found. This is a great kayak for all-round saltwater or freshwater fishing and is a great choice for those wanting their first fishing kayak. Easy to paddle with great stability, lightweight with plenty of useful features!